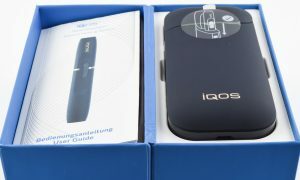 A committee of the US Food and Drug Administration (FDA) today rejected two of the three modified-risk claims made by Philip Morris International (PMI) for its IQOS heated tobacco product, throwing into doubt but not entirely ending hopes that it would become the country’s first officially-endorsed safer alternative to cigarette smoking. The agency’s Tobacco Products Scientific Advisory Committee (TPSAC) voted 8-0 with one abstention to reject PMI’s first claim, that “switching completely from cigarettes to the IQOS system can reduce the risks of tobacco-related diseases”. It also rejected by a much narrower 5-4 margin the second claim, that “switching completely to IQOS presents less risk of harm than continuing to smoke cigarettes”. The committee may have shared the concerns already expressed in an FDA briefing over the prospect of many IQOS adopters also continuing to dual-use combustible cigarettes. However, on the second day of its long-awaited IQOS hearing the committee did support, by 8 votes to 1, PMI’s third contention – that “switching completely from cigarettes to the IQOS system significantly reduces your body’s exposure to harmful or potentially harmful chemicals”. The TPSAC’s decisions are not final, but are highly likely to guide the agency’s determination of the three PMI applications for modified risk tobacco product (MRTP) status. If PMI succeeds in any of the applications, it will win the right to publicly make the associated claims, for example in advertising and on packaging. That could give PMI and its US partner Altria a significant marketing advantage over existing tobacco alternatives such as e-cigarettes, whose manufacturers are not allowed to make such claims without obtaining MRTP status themselves – something no company has yet achieved. In order to sell IQOS in the US, PMI and Altria will also have to file and succeed in a premarket tobacco product application (PMTA). That is expected to be much easier to obtain than MRTP status. IQOS has already enjoyed much-noted success in Japan, as well as being launched in the Korean market and widely across Europe. The share prices of both PMI and Altria fell sharply on the New York Stock Exchange as the TPSAC’s decisions were announced, although they soon started to recover. What This Means: Undoubtedly this will be painted as a bleak outcome for PMI, a view exacerbated by the level of hype over IQOS in recent months. In reality, though, the rejection was far from outright: PMI won 12 of the total 26 votes cast across the three applications, not to mention an outright majority in one of them. This may well suggest that it was the details of the science supporting the applications and the precise wording of the safety claims PMI wanted to make, rather than the essential concept of IQOS, which tilted the TPSAC against approval. If that is true, another application on another day might fare better. It is notable that the application which the TPSAC did endorse was the one dealing with relatively straightforward, and measurable, chemical exposures – rather than less easily ascertainable longer-term health impacts. Indeed, only this week the high-profile new report on e-cigarettes from the US National Academies of Sciences, Engineering, and Medicine highlighted precisely the problem of predicting those long-term effects. For now, the committee votes might seem a significant setback for PMI and Altria, but the story is far from over: if the FDA does choose to follow the TPSAC’s recommendations on the third claim and grant MRTP status on that one alone, IQOS could still win the war despite losing a majority of the battles.